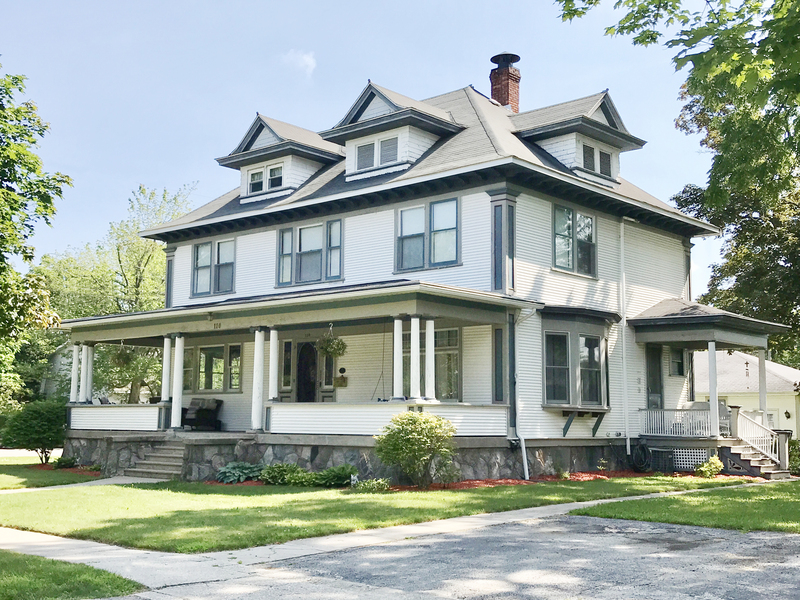 The Reverie Retreat is located in beautiful Scottville, home of the famous Scottville Clown Band, and just 10 minutes from Ludington, located on the shores of Lake Michigan. Enjoy this award-winning historical home for your group stay or getaway. Ideal for groups such as quilting, sewing, scrapbooking, paper crafting, yoga, knitting/crocheting, board retreats, weekend getaway, weddings, and workshops, along with family vacation rental. The Reverie Retreat will also be hosting sewing, quilting and art classes for adults and youth. The historic retreat is an Edwardian-style built in 1909. The home features five bedrooms of which four are on the second and one is on the third floor and has sleeping accommodations for up to 13 people. Work rooms that include tables with work space, lighting and comfortable seating for projects. It is located just one block north of US 10 and a mile east of US 31. Note: Some map locations are approximate. Please call the venue at 231-845-9198 for exact directions.